Ever wonder how you could decrease your sales cycle and at the same time increase the probability of closure? I have a tip that might allow you to accomplish just that. Forget about writing proposals that are haphazardly read, instead, engage the customer, and let him do the selling. I used this method when I sold software to a hospital in South Carolina. Here’s how I did it. First, I called the customer and set the appointment, but at the same time made sure I had a fairly good understanding of their IT infrastructure. On the day of the meeting, I cut right to the chase, went straight to their white board and began drawing their system in block diagram. If you have ever given a technical presentation to a group of IT professionals, then you know to expect interruptions; and that is exactly what I got. I was immediately challenged for the board marker, which I happily relinquished. After all, this was my goal, Customer involvement. The customer then began to draw the infrastructure and all I did was to inject where our equipment would reside and how the benefits would be overwhelmingly positive for what they were seeking to accomplish. This allowed me to engage the customer, make him part of building â€œhis own solutionâ€ which gives a greater sense of value in the end. The greater good here is the ability to show and engage a wider audience for buy-off and at the same time it uncovers holes in what would have been a flat presentation if delivered in the typical paper form. If your design is off target it allows you to adjust, showing the client you do understand and care about their business processes. This way, you donâ€™t mandate change, you solicit support for change. If this is shot down in committee or by finance, I guarantee this group will fight tooth-n-nail to get it approved. I have actually seen the customer make a better case for ROI than I ever could. This method can work if you sell over the phone too. You just have to ask the customer to describe their current situation and then ask if you could email or fax what you have to make sure you understood their requirements. Bottom line, Get the customer involved! Using this method in as many cases as possible will decrease the sales cycle time simply by taking the onus off the customer to read your proposal. Admit it, would you want to read it? Hope you are able to use this and if you are, let me and others know by posting your comments. Maybe you used something similar? Hey, we want to know that too! I thought I would put my own spin on what I’ve experienced and in addition, what I currently see transpiring in today’s selling environment. Aimed mostly at sales management, I would like to share my thoughts from having been an active participant as both a sales professional and manager. Don’t beat a dead horse– brow-beating the salesforce to make their numbers isn’t going to make it happen, rather, beating up on sales people will demoralize and damage their esteem and in the end won’t generate another $ of sales. It just poor management and shows zero leadership. Turn the pressure down– Money is short and both the seller and buyer know it. Pressuring the customer with constant pinging will only result in resentment and anger towards you and your product. It also sets a precedent in future dealings; it shows your desperation. To counter, uncover additional pain points that show value for your product, then work to motivate the customer to buy. Go back a few steps– In order to have a winning situation, you may need to revisit prior sales steps to uncover functionally better reasons to buy including the cost of delaying the purchase. Above all, you must have previously in the sales cycle built a mutually agreeable plan with the customer. Climb the ladder– climb the corporate ladder for the funding. Upper management has, or can obtain the money, especially so in a down economy. If not, they know how to get it so your value proposition better be spot-on. Cultivate higher-level relationships, higher than you are now. When costs are trimmed, they are done at lower levels and if you are working at this level this might be why you are not selling! The last thought an organization has right now is hiring; but it should be the first thing. NOW is the right time to hire. The market is full of very talented people and we all know GREAT salespeople are rare. As always, Good, bad or indifferent, Contact Me and let me know your thoughts or better yet, post your comment here! Social Media, Marketing 2.0, Sales 2.0, Web 2.0…the names tend to run together, but whatever name you recognize, it is garnering a lot of interest from companies, especially those that are struggling in today’s economy. Seemingly exploding overnight, the Social Media movement actually began the moment the dot com bubble burst. Let’s take a quick look at how we got here. History records the timeline of the dot com from 1995 until 2000. During this period, I worked for CA (Computer Associates) and later Oracle selling ERP, CRM and e-Procurment. VC firms were throwing money into any company that had a web presence and an idea as if it were the fuel of success. Forget the business plan! What burst the bubble was the fact companies did not have anything of substance that could sustain the current momentum. After the bubble burst, people scoffed at the idea the internet could ever be a viable channel of commerce. Nevertheless, those determined, picked up the pieces, learned from past mistakes (let us hope) and carried on. Ok, flash forward to the present. From the school of hard knocks rose an educated mass, this seemingly is pushing Social Media forward. Hooray!! Let’s not celebrate quite yet. I see a disturbing trend among companies frantic to increase sales, turn to a yet unproven method of marketing and selling. Moreover, some are practically abandoning traditional methods in favor of this new trend. I say unproven only because there isn’t enough quantifiable data to back any claim. Yes, I fully understand companies have bought and sold goods using these methods. There are also companies and individuals that have connected for employment purposes through this new media, yet there is a striking parallel between these and the activities that drove the dot com hysteria. Don’t get me wrong, I applaud this type of thinking, but only IF you can show a sustainable model. The problem is, I’m just not sure I see one yet. What IS going to change will be how information will travel. We are already seeing the effects on YouTube(c) and Twitter(c). It is becoming an interactive world. This quick access to information will empower customers, OUR customers allowing them to be better educated. The method of primary information dispersal during the dot com era was word-of-mouth. Not a very fast means, but word did get around. So how will the new way of information dissemination affect you as a salesperson, sales manager or VP of Sales? It will change how you approach a customer, which means you MUST change your strategy. No longer will you be able to push a product UNLESS you are able to motivate your client. The result of this new media channel is a potential customer will have a plethora of competing products and simply choose to pass yours over unless you create value or have something remarkable to offer or show that makes the customer take serious notice. The ability to motivate customers through social media is here today. How you use it to leverage your products is a moving target. What is NOT going to change is the salesmanship necessary to close the deal. People are still going to buy from people, not companies. The coming change is going to have the greatest effect on transactional selling rather than strategic selling. You will still need people to follow-up on leads, visit clients and move the sales process along. It will not replace the intelligence needed to sell or buy, though I would wager some people would like nothing more. All of these will still need the sales touch as Social Media will not be able to do this for you. Social media is great and I hope it’s here to stay, but it has not yet proven itself the panacea everybody hopes it to be. This is the infancy stage, and additional stages of metamorphosis will happen before the dust settles. I hope you will find this of value. Comments welcome! This is the last half of Down the Sales 101 Trail. I hope this helps accelerate your close ratio. This is going to be a ONE topic discussion, so let’s get with it! I can’t emphasize enough how important having a game plan is. 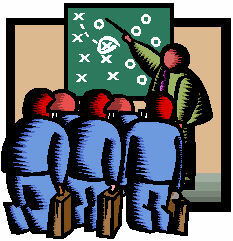 Seasoned sales professional or just starting out, you have to have a game plan. If you are winging it day-by-day, go find something else to do because you are not going to survive without some divine intervention. The stakes are too high in the current economic atmosphere. Old saying or not, it’s true, or at least true enough to do harm. When I started in sales, I struggled. One of my senior mentors sensed this as well and towards the end of the day came over to offer his advice. The first thing he asked me was, “What are your plans for tomorrow?” Not knowing his intentions, and thinking he was going to ask me to lunch, I answered, “Nothing, what do you have in mind?” We certainly were not on the same wave length. He went on to tell me how at the end of each day or that evening, he would map out a strategy for the next workday. Never, ever did he leave tomorrow to chance. I have never forgotten his words of advice, nor that single question he asked me that day. Ok, now what? It really doesn’t matter if you have a territory or assigned accounts, start by mapping out 10-20 companies to target. There are commercial services that can dissect a state or geographical area by Standard Industrial Codes (SIC). (It is being replaced by the newer six digit North American Industrial Classification System (NAIC). You can then filter companies to a very granular level by revenue, size, state, etc. This helps to build a match between your solution and companies you wish to engage. Build on this concept and grow your customer base. The last thing you want to do is have contact with a company without doing your homework. I believe in “prepare before approach.” With the economy still sputtering, you need to make the most of every contact. You cannot do this without knowing what the company does, what kind of pain they are experiencing and how your solution can help. You will only know this by planning. (Click here to see 5 daily tips) Get your plan together then get your sales manager’s approval. Why? It does two things. First, it shows you know how to plan and tackle a problem, and two, gets his buy-in in case things go awry. The last thing you want is to be on your own unsupported. If nothing else I hope this gives you a foundation to build/rebuild a stronger sales strategy. If you find this of value or feel I missed the mark, please consider taking the time to comment. Many people can and will benefit from YOUR experience. Continuing to share your tips on what basics work for you will in the end, benefit us all. Five different, but important tasks you can do Monday through Friday and watch how they begin to help. Stop the insanity– break the cycle and try something new everyday by Getting out of your comfort zone without losing control. Start small, and as your comfort level rises keep expanding outside of your comfort zone. Do something you have never done before or something not typical for you. It might take practice but that’s ok, just do it. Look for new ways of doing the same task like how you meet new customers…even take a different route to your car as you head home. Practice your value proposition– As you get ready for work, repeat the value proposition for your product line. Get it down to an art and make it as much your DNA as your skin. 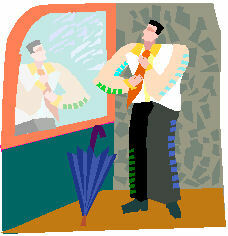 Try this… Look yourself in the mirror and convince “that person” your product is of value. If you cannot convince yourself, how are you going to convince a client? Stop being a salesperson– be the buyer for a change. What’s running through their head? What’s important to them? Do you know, or did you even ask? 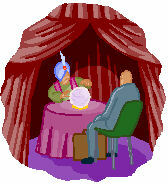 Your agenda does not translate into the customer’s agenda.Â Recall when you were a buyer of a big ticket item. Did your priorities and agenda coincide with the salesperson? More likely they did not. Make your product a must have, not a nice to have. Refocus your efforts– While this is may not be a daily activity, focus on the 20%-30% of customers that have the highest percentage of closing. This may mean taking a hard, honest look at your pipeline. This may also mean altering your strategy rather than waiting for the account review meetings to do it for you. At a minimum, refocus on your pipeline on a weekly basis. As always, let me know if you find these of value.Â Contact Me and let me know your thoughts.